Gaban guitar was introduced by Fukuhara Gakki Corp. Actual manufacturer is Kasuga. Kasuga made many brand under OEM. Well, Yamaha is famous contractor. They are also offering their own brand "Heerby". 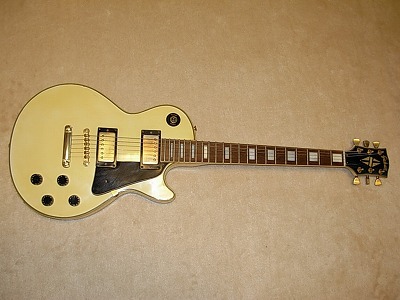 I don't have many Les Paul Custom model. Only a few of them are at home. 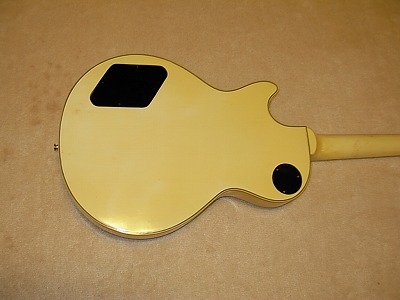 Maybe this guitar is not Maho top. 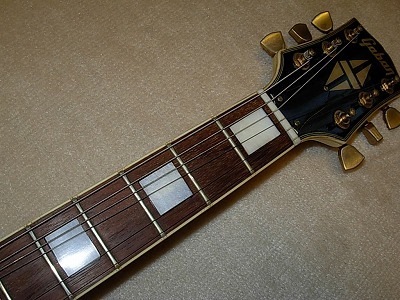 I guess Maple top. Because, I felt the sound are little bit shape. This is good conditioned guitar. How the previous owner keep this guitar clean and well. 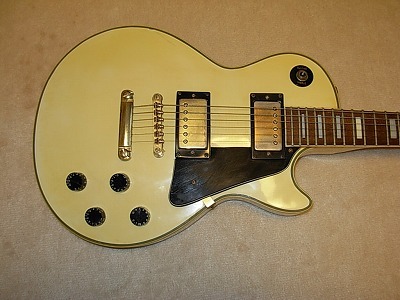 I can't believe this is over 30 years old guitar. 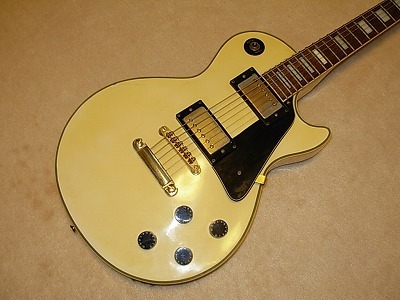 I felt every time, if I saw the good condition vintage guitar. 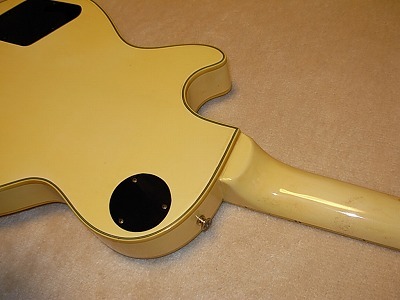 The Pus power is not like current Hi-Power Humbuckers. But Very good warm tone. 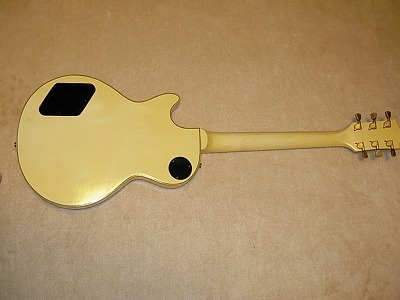 The soft carry case will be delivered with this guitar. 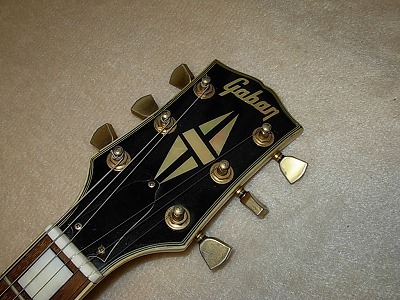 Good era's great guitar ! Body Material Maple 2P ?